1 Why Do I Use Custom Error Page? 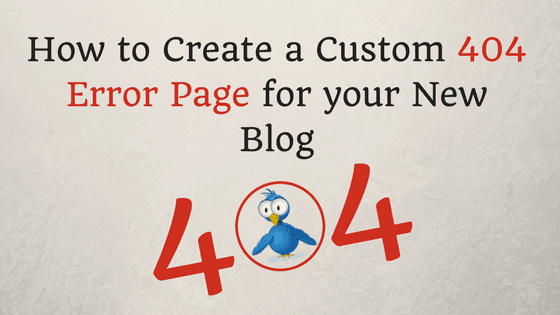 The steps for adding custom 404 error page is quite easy on blogger. It can be very helpful for your visitors to let them know that they have visited an invalid page on your site. 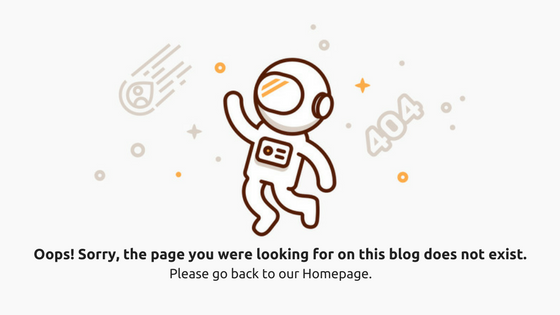 In simple, If your visitors visit a wrong link to your blog, then this 404 page will appear in that case. 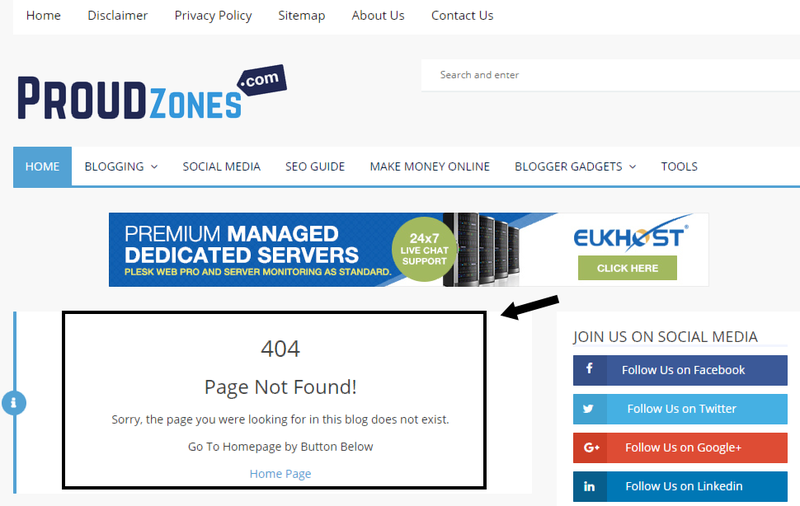 Today in this tutorial I will show you easy tracks to insert a 404 error page to your blog. Why Do I Use Custom Error Page? If you have a new blog, then normally it will show a blank page instead of an error page. But if you add a custom error page instead, then they will clearly know that they have visited a wrong page and it will also help them navigate your blog properly. Note: If you are using custom theme then it may contain an error page. So, make sure there’s none before implementing the procedure. In this photo, you can see that it’s saying, “Sorry, the page you were looking in this blog does not exist”. This simple note can help your visitors know that they’ve visited an error page and they can go back to try a different page. 1. 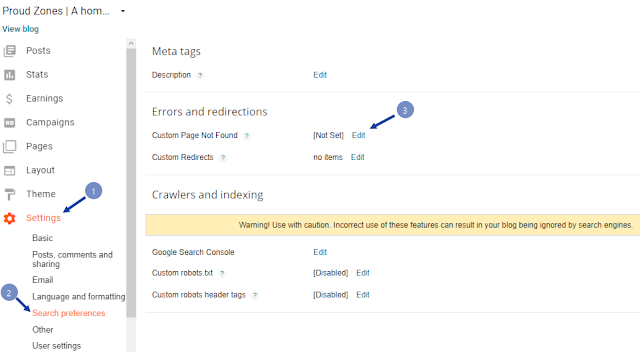 Open your blogger dashboard, hit Settings and Search Preference. 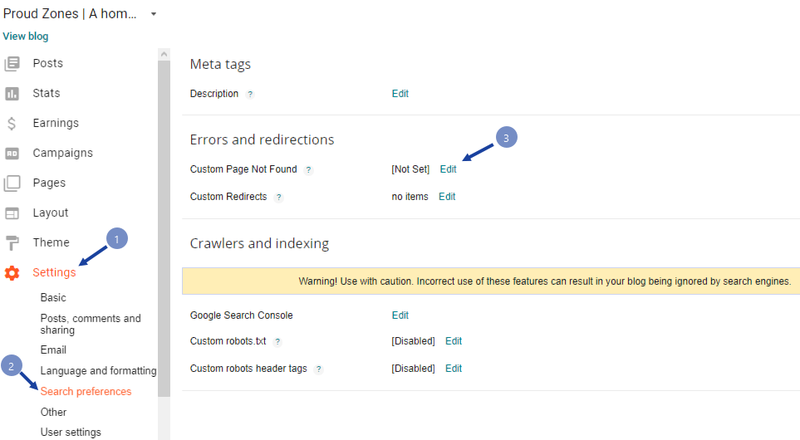 Now under Errors & Redirection, click Edit in custom page not found an option. 2. Copy the below codes and paste in the blank box and hit save changes button. Now, if the error page is appearing then it’s working correctly, but if it’s not. Then, copy & paste the same code I provided. 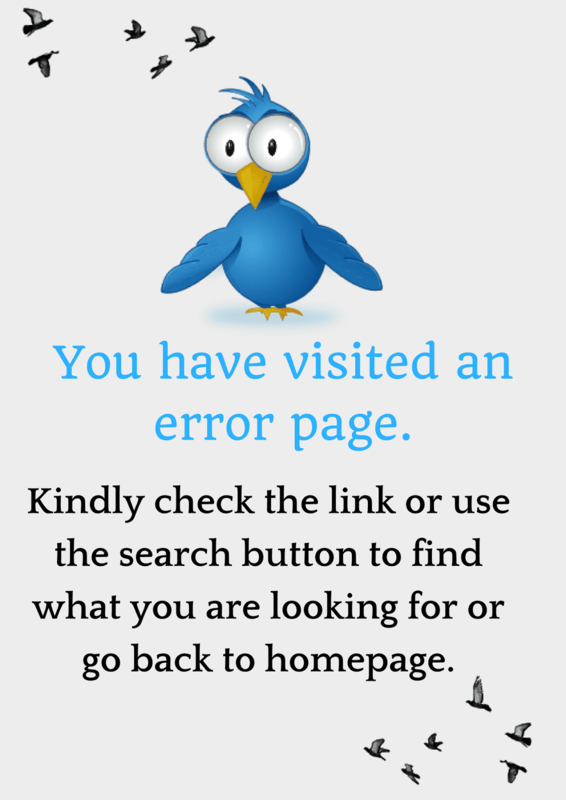 For more free custom 404 error pages, check out this post. By using above method, you will be able to employ design error page on your site within few minutes. Just, make sure the error page is working correctly or else it will end up with a blank page. Have you applied the above procedure to insert a custom 404 error page to your site? Let me know the consequences into the comment box below and you find this post useful, then share this page with your friends and collaborators.